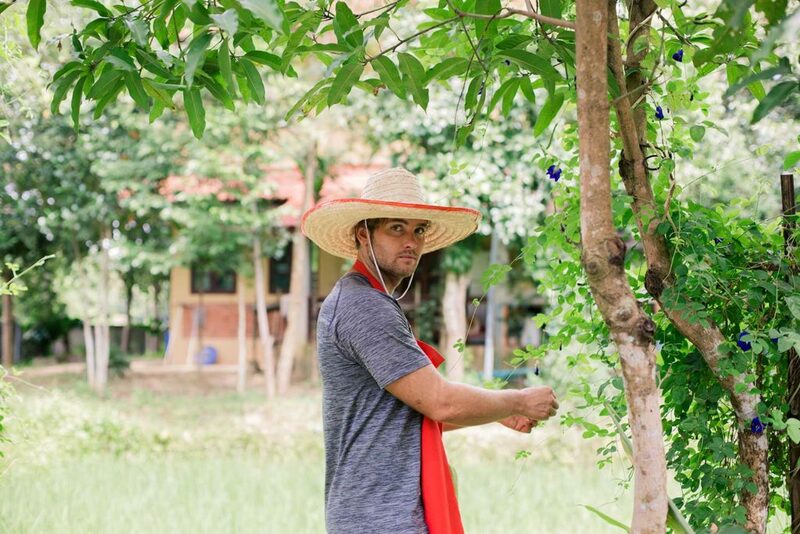 The country of Thailand is recognized worldwide as a destination for fresh, flavorful and delicious cuisine. The perfect balance of the sweet, spicy, and sour in Thai cooking helps to develop a rich palate of flavors in one dish after another. If there is one thing that I love, its food. And Thai food is up there as one of my all-time favs. 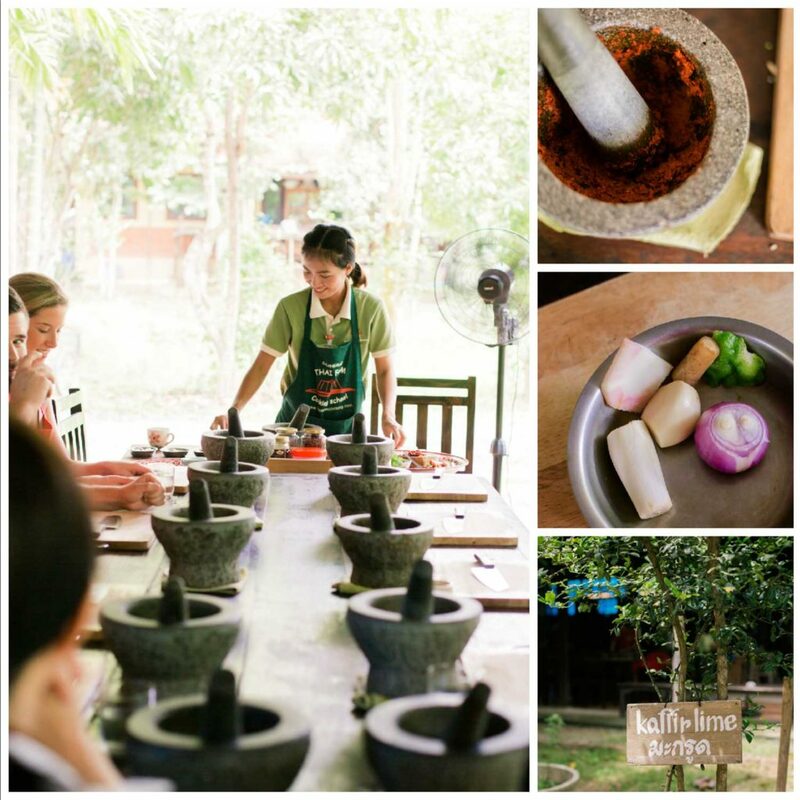 So, one of my top priorities on coming to Thailand, was attending one of their famous cooking classes. 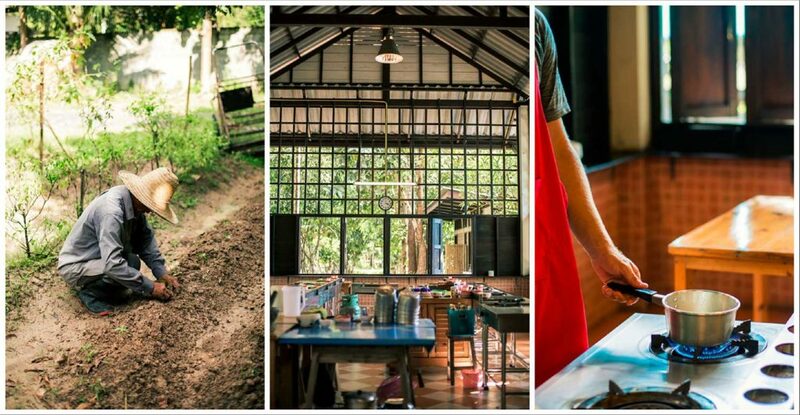 I had done some research on the cooking classes offered in Chiang Mai and decided on the Chiang Mai Thai Farm Cooking School. They are given high accolades in many guidebooks, but what hooked me was the experience they were offering. 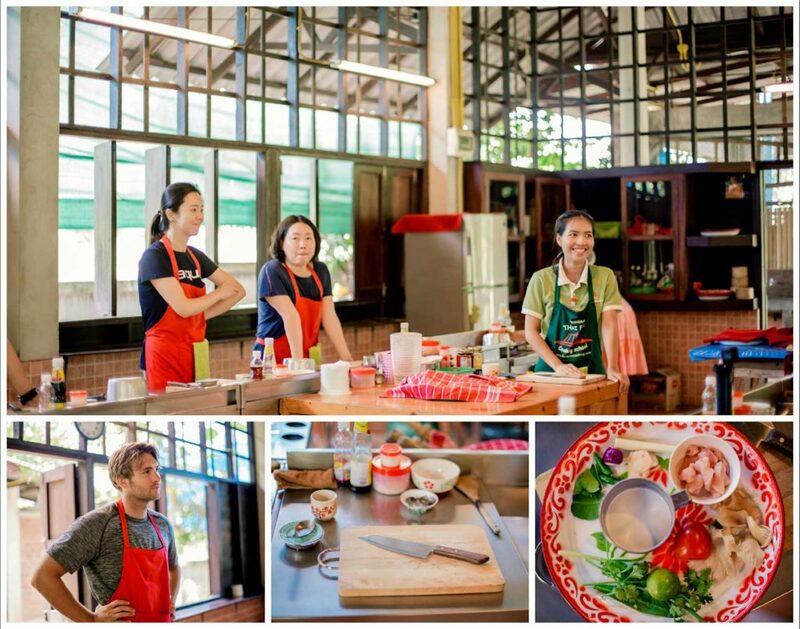 Like the other Chiang Mai cooking classes, you go to a market, you learn about the different Thai ingredients, etc etc. 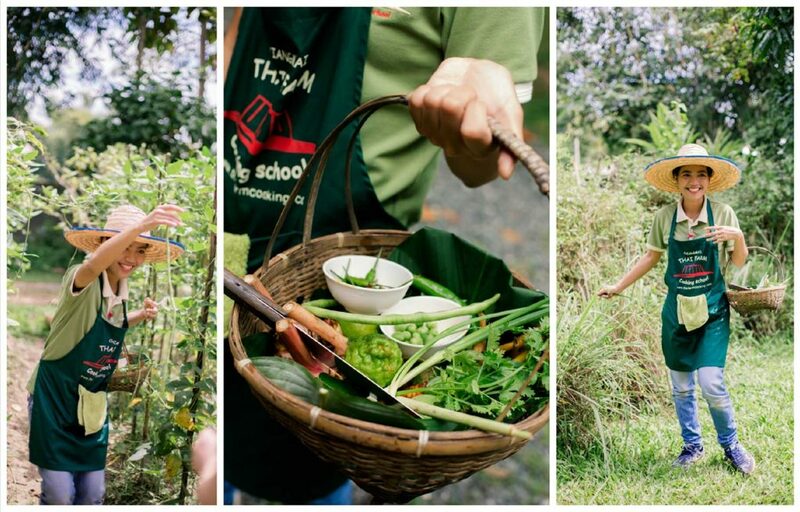 But what Chiang Mai Thai Farm Cooking School offered that was different, was the opportunity to spend the day touring, cooking and learning out in the countryside at their organic farm. 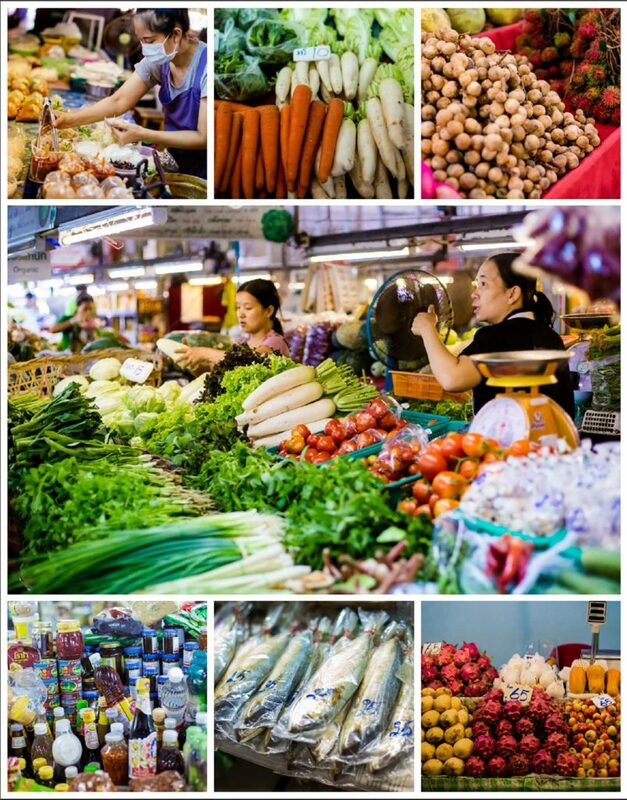 The Markets in Thailand are filled with some familiar, and some not so familiar foods. Our instructor Gift shows us the natural dying ability of a local flower. Now, while I love cooking, it does not come to me naturally. I was told by someone once, that I didn’t have the soul of a chef. If I follow a recipe, I inevitably forget an ingredient, don’t cook something long enough, cook something too long… well, you get the picture. Countless times, I have ventured to cook an amazing Thai curry from a recipe book, only to end up with a gloppy mess of overcooked vegetables in some thin, watery, salty coconut milk. Nevertheless, I have remained determined to master some of my favorite flavorful Thai recipes, and this was my chance for success! I’m more of a visual learner anyway. We made our curries by grinding the fresh ingredients of hot chilies, galangal, ginseng, garlic, tumeric, lemongrass, shallot and kefir lime. Manning our stations to make some Tom Kha soup. We spent the beginning of the day learning about all of the ingredients that we would be using in our recipes. We learned what these ingredients added to the dish (flavor /color/sweet/sour/spicy etc). We learned how they could be different from what we might normally find in the states (Kefir lime vs a regular “sweet” lime or bitter eggplant vs sweet eggplant). Some ingredients I had never heard of (pandan leaves) and some foods that I had never seen before they were processed (tamarind). 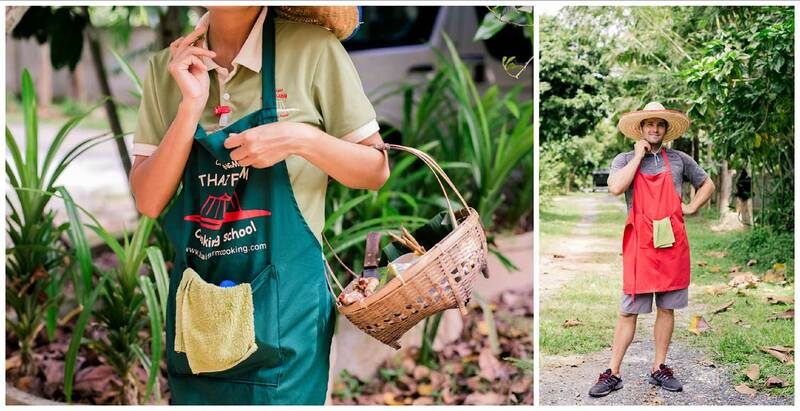 Thai food is known for using fresh local ingredients, and there is nothing fresher than straight from the farm in Chiang Mai. 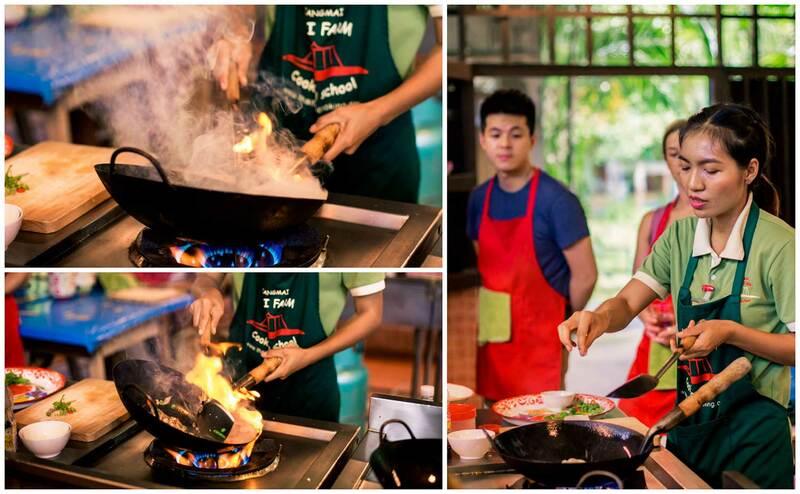 Lesson in cooking fried chicken with basil leaves. 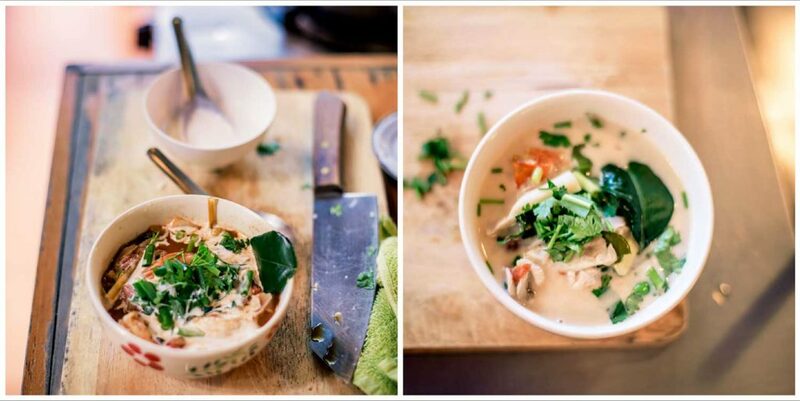 Tom Yum and Tom Kha soup! Taste totally different despite looking like the exact same thing here! Pad Thai. Before and After. My red curry and Jason’s beautiful green curry. Well, my dishes all were a success, and I have to give credit where credit is due. Our instructor for the day, Gift, was informative, playful, and really freakin fun. And thanks to her guidance, I was able to make some incredible (and I never say that about my cooking) Thai dishes. 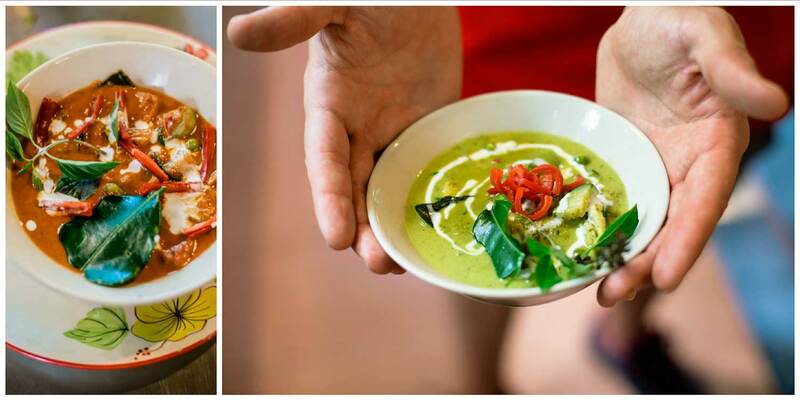 I made Tom Kha soup, a red curry, fried chicken with basil leaves, and my surprise favorite dish – bananas in coconut milk! Many of them used the same ingredients, but each was so delectably different. As I am writing this, I am still in a food coma, but still somehow drooling over the idea of making these dishes again. Especially the bananas in coconut milk. 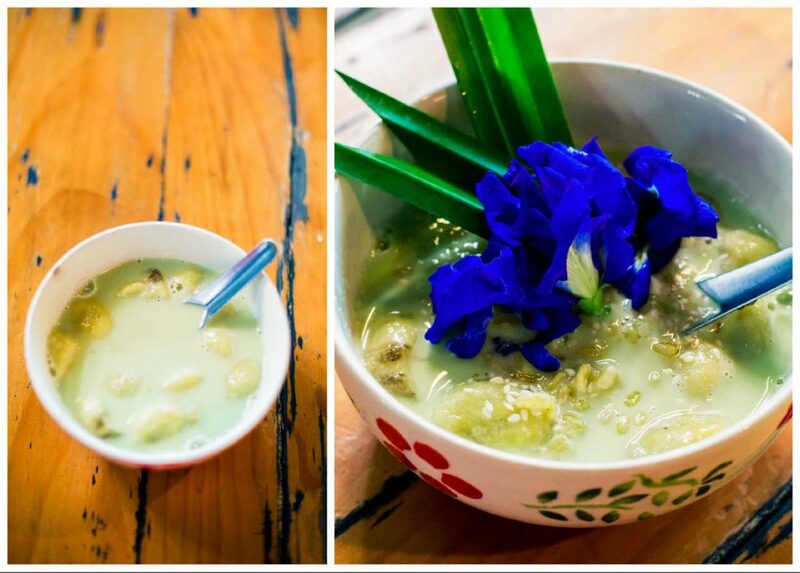 Bananas in coconut milk. It is actually slightly green from the pandan we used as a food dye and aromatic. The Thai’s use pandan to flavor their foods similarly to how we use vanilla. Our playroom for the day. 0 Comments on "Chiang Mai / Cooking Thai"